Perry starred in the feature film “17 Again” alongside Zach Efron. He also starred in “The Whole Nine Yards” and the sequel “The Whole Ten Yards,” opposite Bruce Willis. His other credits include the independent films “Birds of America” and “Numb,” as well as the features “Three to Tango,” “Almost Heroes,” “Fools Rush In,” “Serving Sara” and “A Night in the Life of Jimmy Reardon,” which was his feature film debut. He made his stage debut in London’s West End in David Mamet’s “Sexual Perversity in Chicago,” starring with Minnie Driver, Hank Azaria and Kelly Reilley. In 2005, Perry hosted the ESPY Awards for ESPN. Perry supports and hosts an annual gala for the Lili Claire Foundation which raises money for those born with Williams Syndrome and other neurogenic birth defects. Born in Williamstown, Mass., Perry was raised in Ottawa, Canada. He resides in Los Angeles. His birthday is August 19. 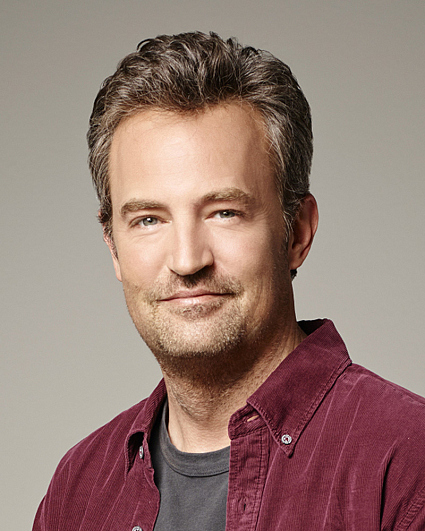 Follow him on Twitter at @MatthewPerry.